Welcome to the College Counseling Blog by Susan Swenson and Chris Teare, Co-Directors of College Counseling, and Russell Althouse, Associate Director of College Counseling. 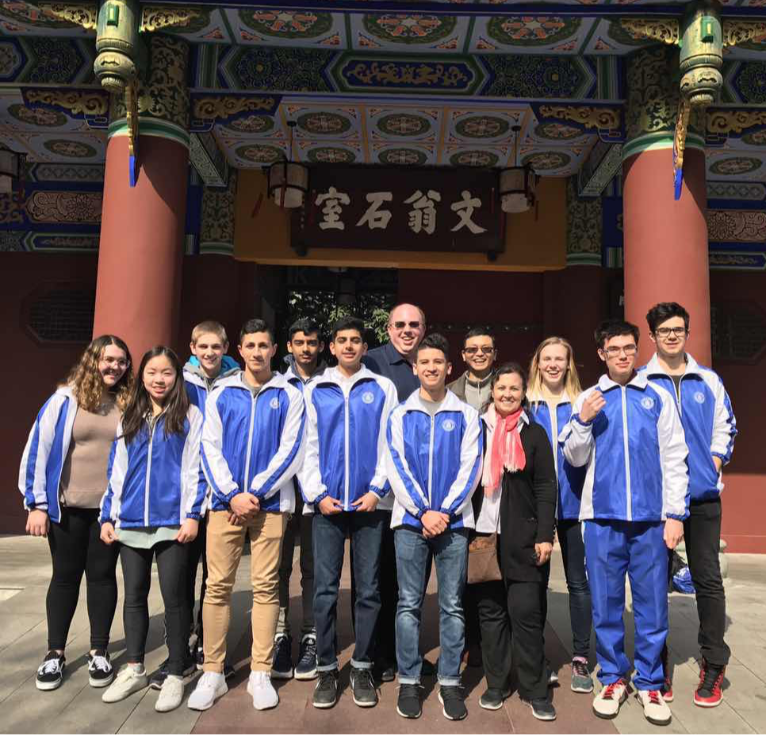 Over the upcoming spring break, 15 students, Mrs. Barnett, Angel Montanez and I will be boarding a flight to Beijing, Shanghai and Chengdu, China as part of our cultural exchange program. We will have two weeks to learn more, firsthand, about a place and people with both a proud ancient culture and burgeoning present-day geopolitical significance. Our first hope is that our students will come back more informed about a country that plays an increasing role in our socioeconomically interdependent world. But we want more for them than this one trip: we want to them to want more travel and study. In the College Counseling Office, we emphasize the latter point in the context of their upcoming transition to higher education. Study Abroad, usually undertaken for a semester or two during the junior year, has long been of tremendous value to undergraduates who have established their academic foundation at their college, then ventured forth into the wider world for immersive study in culture and language, as well as the academic majors they are pursuing. We hope that the upcoming trip will whet the appetites of our secondary school students for more such travel and study at the college level. The trip might also be of value for those who will come to consider international options for their matriculation after graduation from Wardlaw+Hartridge. As but one example, New York University has still-young yet thriving programs in both Abu Dhabi and Shanghai; indeed, two W+H graduates are currently enrolled at the latter. In addition, Northeastern University’s N.U. in Program offers first-year students the opportunity the begin their studies in either Australia, Canada, England, Greece, Ireland, or Italy. On top of these possibilities, universities based in the United Kingdom, Australia and other countries in recent years have become especially eager to recruit students who have completed high school in the United States. Educational experiences in our cultural exchanges, and in our Global Scholars program not only plant seeds for further study abroad; they can also lead to professional choices in decades to come. My new colleague in College Counseling, Mr. Chris Teare, recalls that a singing tour to Europe, North Africa, and the Middle East led, years later, to his seeking jobs abroad, and he decided to teach and provide college counseling at the International School of Brussels. He says a key factor that brought him to W+H is our remarkable internationalism, emphasizing that he did not know – 40 years ago – how much that trip would continue to shape his interest and curiosity about the world. So, while in one sense we go off soon for just two weeks, we know that the experience our students will share may well inform their choices not only in daily life once back home, but in what they will do years from now, whether in college or in their careers. Those of us in the adult community who have been fortunate enough to travel abroad know that we never read the news quite the same way ever again. With the challenges before us, from climate change to international economics, over choices of war or peace, we at Wardlaw+Hartridge make these trips so our students know firsthand the world well beyond Inman Avenue. Time to pack soon! As the juniors and I have been discussing, the way to begin the college process is by reflecting on one’s own educational and life experiences, examining them for what works or what does not; which subjects, settings, and people bring out an individual’s best; always trying to develop an internal guidance system for developing a college list that will have places that have the right size, type, location, personality, programs, and price tag for a unique individual to thrive, grow, and graduate – ideally in four years. We have also been discussing the way an application needs to communicate in the student’s own voice, and not in any sense be “packaged” to make an impression that is not genuine. Ethical conduct in the college process thus means everyone involved – students, parents, teachers and counselors – being honest with everyone else, including college admissions officers. To be ethical is to be authentic, true to your “own self” and to find a college that fits the real you. Chris Teare brings a wealth of experience spanning four decades in various roles to his new position as Director of College Counseling at The Wardlaw+Hartridge School. Mr. Teare began the transition into his new role on Dec. 3, joining current Director Susan Swenson and Associate Director Russell Althouse in the department. Mrs. Swenson will be retiring at the end of the school year. What would you like our Wardlaw+Hartridge parents to know about you? I would like Wardlaw+Hartridge parents to know that independent school college counseling is the role I have found most rewarding in a multidimensional career that began decades ago. I graduated from Summit High School and attended Amherst College. My first job, at William Penn Charter School, included college counseling starting in 1983. After earning a Master’s Degree in journalism at Columbia University and working in and on television news, I returned to secondary education in 1987. Having been a college counselor in places as different as Philadelphia, Brussels, Palm Beach Gardens, and St. Thomas in the US Virgin Islands, as well as an Upper School director in Brooklyn and a head of school in Massachusetts, I have worked with students and parents from a wide variety of backgrounds. What has drawn you to this opportunity at Wardlaw+Hartridge? What has drawn me to this opportunity is the progress the school has made under the leadership of your Head of School. Andy Webster and I worked closely together from 1993-99, and have had a strong personal and professional relationship ever since. I admire what he has accomplished at Wardlaw+Hartridge and want to help the students and parents in the community in any way I can. What I am most looking forward to is getting to know students well, and working in partnership with their parents and my colleagues to achieve the best possible results in the college process. Do you anticipate any challenges in your new position? If so, what are those challenges? There are always challenges in a new opportunity, and the first I will face will be in getting to know students and their parents as well as possible. 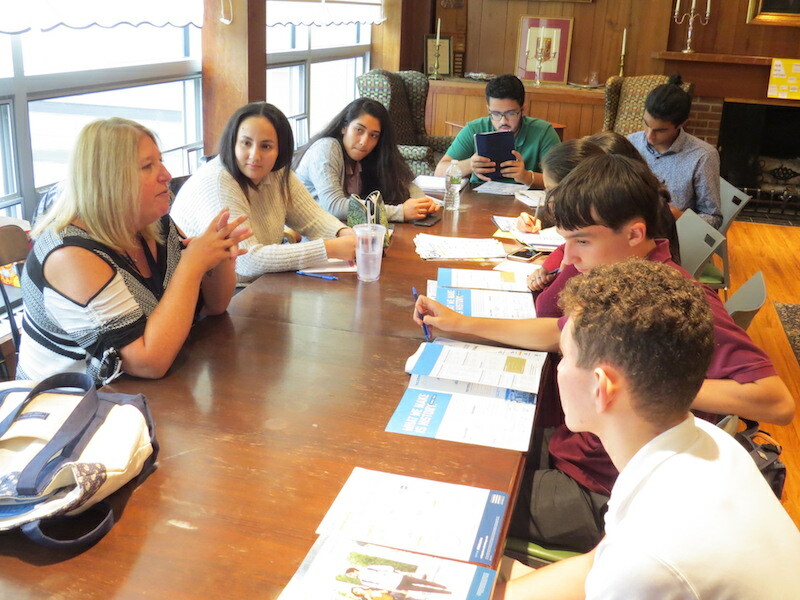 I am joining Wardlaw+Hartridge at the start of the junior college counseling process in order to get to know the Class of 2020 well before they file their applications. Wherever I can help current college counselors Sue Swenson and Russell Althouse with the Class of 2019, I will certainly do so. What have you learned about W+H when you've come to campus to make presentations? What I have learned in visiting Wardlaw+Hartridge to do college counseling presentations the past three years, speaking to the entire junior class each January, is that there is a fabulous diversity in the student body, a great deal of ability, and a wonderful sense of humor. I have enjoyed my visits very much. How will your experience on the college side of admissions benefit you in your new role? My experience on the college side of admissions will benefit students in my increased understanding of how they are recruited, evaluated, and awarded merit and need-based financial aid. In addition, my professional experience as a college counselor and personal experience as a parent who has helped three daughters go to college will now also include empathy for college admissions officers, who have a tremendously challenging job to do. Now that I have “walked that walk,” I will be better able to “talk that talk” with admissions officers in ways that will benefit our students. How has the college admissions landscape changed during your career? The greatest change has been in the way rankings have been used to try to quantify the qualitative and made the college process more and more about data, rather than about the human experience of adolescents at a particularly challenging time in their young lives. As we work together throughout the college process, I will always try to keep the unique individual in front of me at the center of what we do. Numbers matter, but the right fit for a young person to thrive, grow, and graduate from the chosen college means the most, and getting that fit right is a matter that includes factors that cannot be quantified. I contributed a post to Forbes.com entitled, “College Decision Involves Head, Heart & Wallet.” While having a head for numbers, we need to have a heart for feelings, too. Resilience has been described as “that ineffable quality that allows some people to be knocked down by life and come back stronger than ever.” In our increasingly turbulent and demanding world, within education and beyond, the need for resilience has likely never been stronger. But what does it look like to cultivate resilience? Using character strengths to expand learning, motivation and performance in the face of challenges can teach us how to “come back stronger than ever” and develop a plan to be at our personal best every day. What are your character strengths? 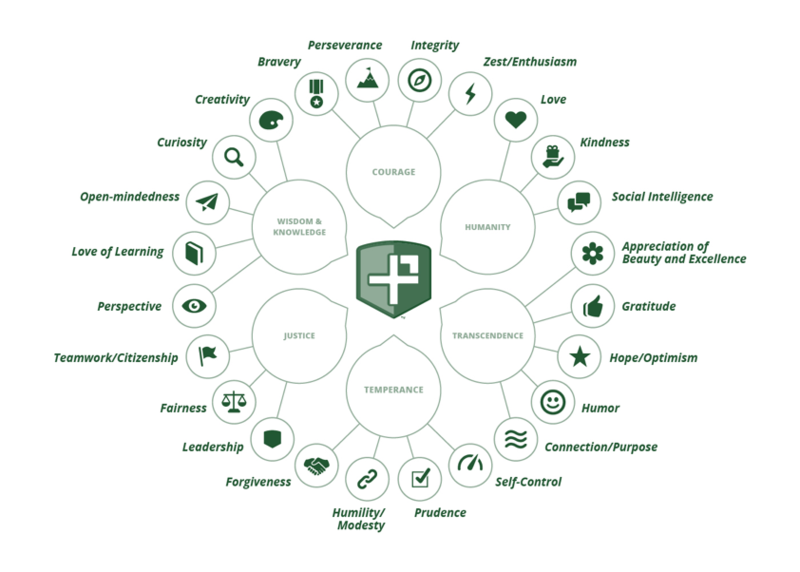 We all possess 24 character strengths in varying degrees which make us who we are. While often simplified as “grit” or “self-control,” character is more than simply individual achievement or a person’s behavior. It is a broad and complex family of thoughts, feelings, and behaviors that are recognized and encouraged across cultures for the values they cultivate in people and society. Character is the aggregate of who we are; it’s “what’s inside every one of us.” See below for a full listing of these strengths. A teacher’s job extends far beyond academics. While teachers are hired to develop children’s skills and abilities in academics like reading, writing, history, geography, and math, there is a lot more going on in the classroom than meets the eye. Opportunities abound for students to develop hope, fairness, humor, valor, appreciation, and many other character strengths that lead to fulfilling lives. For some teachers, this is a natural extension of the job they do on behalf of children, though building character strengths in children is the mutual responsibility of families, schools, and communities. The acquisition and internalization of various character strengths are telling and reliable indicators of likely future success and the achieving of a life that is not just materially successful, but also happy, fulfilling, and meaningful. I know you have heard this many times since September 6, but please allow me to say it once more: Welcome! 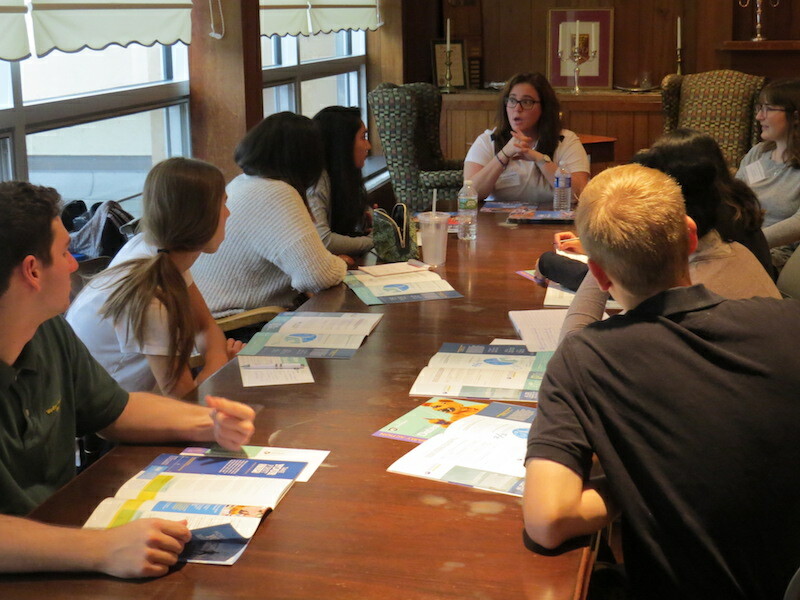 We are so glad that you are here at Wardlaw+Hartridge, and we look forward to working with you on your college search. To date, we will be welcoming more than 100 colleges and universities from across the United States and around the world to our school. The list of visitors represents a diverse cross-section of higher education and will ensure that there is something for everyone! All seniors are reminded they must attend at least two visits, while all juniors must attend at least four visits. 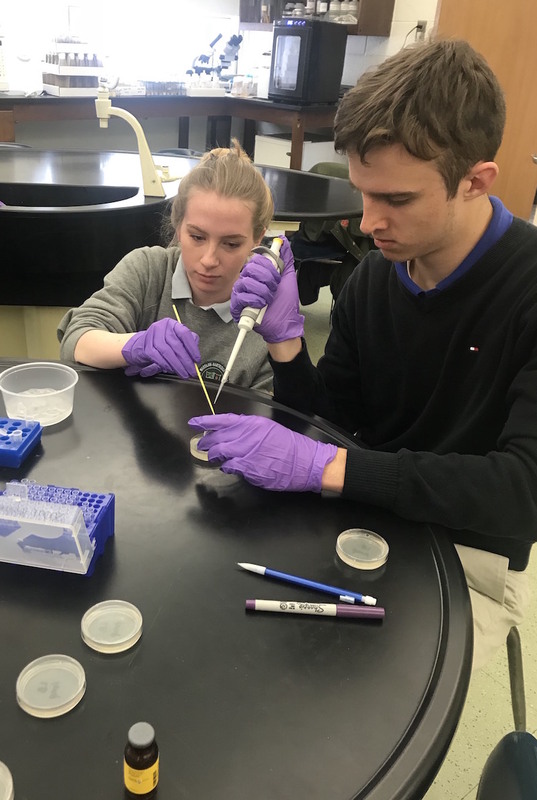 Our visit list includes schools you may know, such as Penn State University (pictured at right), Villanova University, George Washington University, New York University, Gettysburg College, and Dartmouth College. The list also includes international colleges such as: New York University Abu Dhabi, New York University Shanghai, The University of Toronto, and The University of British Columbia. There are schools who focus on art-related programs: The New School, FIDM, and the Moore College of Art and Design. And schools that you may not have heard of before, such as Salem College, Johnson & Wales University, Hood College, Juniata College, and the University of Lynchburg. I encourage our students to attend a mix of visits in order to explore all of the opportunities available to them in the college process. Do not rule out a school because of the name, or because you have “never heard of it.” Just like each of you is unique, so too are the colleges. What fits you best in a college may not be the same as what fits your friends, and that’s okay. I hope you will all join the College Counseling Office in welcoming our college and university visitors this year! Leadership is a term that is used to indicate people who are motivated, actively engaged in groups and organizations, and capable of accomplishing things. A significant leadership role or two can make the difference between a decent application and a stellar one. Colleges and universities want students to be actively engaged in campus life. They invest in the students they admit, and they want them to succeed. Research on college student success shows that students need to be both academically engaged and socially engaged. Students who have been active in leadership positions in high school are considered socially engaged. An article at eCampusTours.com offers several suggestions for taking on leadership roles at your high school. Keep in mind that actions are more important than titles. Even if you aren't the captain of the varsity soccer team, you could be its leading scorer. You may not be the paper's editor-in-chief, but you can write award-winning articles. Your commitment and achievement in an activity are far more important than your title. Colleges look for quality of involvement rather than quantity of activities. In other words, it is better to be consistently involved in one, two, or three activities and/or sports over a number of years, than superficially involved in eight, 10 or 12 for shorter periods of time. In this way, you may very well have the opportunity to rise to the position of leader of one of your activities because you will have invested the time to rise to that level. My advice to college applicants: Think about leadership, and think broadly. Get actively engaged in non-curricular endeavors that you feel excited or passionate about. Be motivated. Take initiative. Demonstrate leadership. With the various guide books, news reports, and advice from family members, the college process can often seem overwhelming, confusing, and difficult to navigate. However, the college journey doesn’t have to be this way. In fact, it can be a fun and rewarding process. Two keys to making the college process more enjoyable are: Communication and Collaboration. 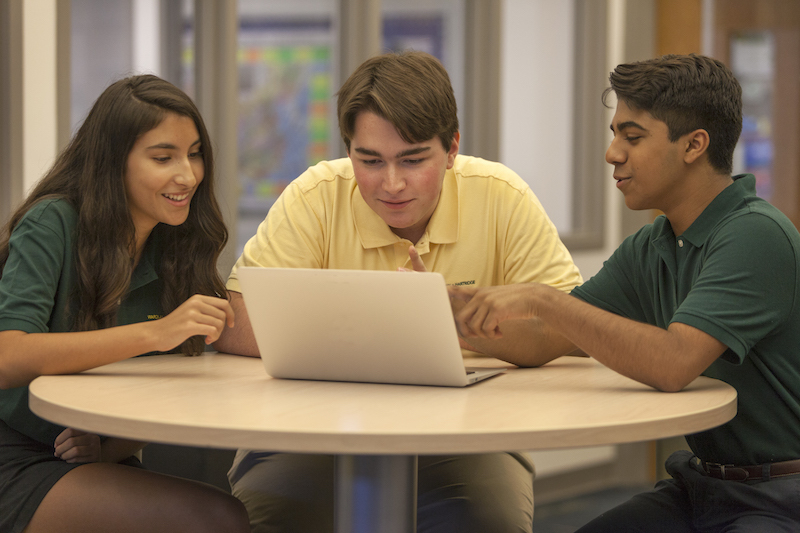 While the student is always the main focus in the college process at The Wardlaw + Hartridge School, we believe that the college process is a partnership between the student, the family and the college counselor. In order for that partnership to run smoothly and effectively, there needs to be open communication and collaboration. Your counselor is best able to help you find schools that are an appropriate fit if you communicate the details of what you are looking for in a college or university. For example, if you know that you are looking for a school that offers competitive knitting in an urban sitting, it’s best you mention that early in the process. With good communication, a list of schools can be crafted around your specific needs and any other high priority items of interest you might have. If there are major items in play, such as geographic location or cost, it is best to have an open conversation about those factors early in the process. It can be heartbreaking for a student to go through the whole process, get admitted to their dream school, and then find out that they are unable to attend because of the distance or cost. While we do not want a student to rule out a school based on cost, because financial aid and scholarships are available, we do want the student to have a realistic understanding of what is and isn’t achievable for the family. Some of these topics are difficult to discuss, and while you do not want to hold your children back from their dreams, in the long run it is best to have these open and honest conversations about the realities of going to college at the start of the process. By collaborating and communicating during the entire college process, we hope to make the college search process as easy and enjoyable as possible. Our goal is that all of our students find a home that fits them best. College admissions officers often recommend that students take “the most rigorous course load available,” with the caveat, “in which the student will do well while still having enough time to show deep and passionate involvement in activities.” Comparisons are made when evaluating students during the college application process. Admissions officers weigh everything from a student’s background to courses taken and grades within the context of each high school. I am often asked, “How many Advanced Placement courses should I take?” This depends on the student and where s/he plans to apply. Students who have not taken any, or perhaps one or two, are admitted to some very good colleges, while others who have taken five AP courses are denied at the most competitive schools. Colleges are aware that at W+H, students can take up to three AP classes without faculty permission, after which students must have the faculty sign off on those courses. What colleges expect is that students excel in the opportunities offered at their high school. Students need to be mindful not to overreach. Every student should take the most challenging courses in which s/he can perform well. Students also want to take more rigorous courses each year. Colleges don’t want to see that you took honors courses during freshman and sophomore years, only to then take no honors or AP classes junior year. Overall, colleges want to see courses that tell a story. They want to see that a student has pursued his or her interests and has taken a balanced set of challenging classes. Taking challenging coursework in high school not only prepares students for success in college but also is the best predictor of both college readiness and college success. • Am I taking a well-balanced academic program that will provide me with a good foundation for college? • Am I prepared to take college-level math, writing, and science courses? • Do I feel challenged by the courses that I am taking? • Am I seeking challenge or avoiding it? Adaptability plays such an important role in all aspects of your life. From the college perspective, it’s critical for you to show resilience, resourcefulness and adaptability. While you may have certain colleges that you hope to attend, the reality of the college process, as in life, is that there are no guarantees. You may get waitlisted or denied from one of your top choices, and while you will be disappointed at first, how you respond and move forward will speak volumes. Will you be adaptable enough to look at other similar colleges, where you may have a better chance of gaining admission? Will you be resourceful enough to listen to the advice you get from the college counseling office, and from the college who gave you the unfavorable decision, in order to improve on any deficiencies and move forward? It’s important to have dreams and goals, but it is equally important to be able to adapt to situations. 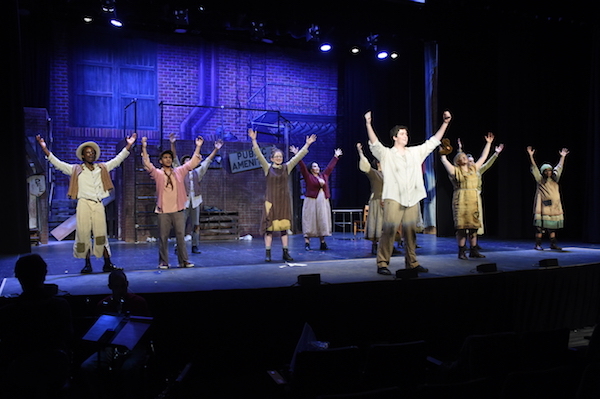 In one of my other roles at W+H, working with the school’s theater productions, I have experienced another great example of students, and adults alike, needing to adapt to situations. Remaining open and flexible is indeed very important in the performing arts world. Often there will be more people auditioning for a role in a theater production than there are positions available in the cast. Sometimes you will get the part you auditioned for, and other times you may be offered a different role, or no role at all. Whatever the situation is, it’s important to take any feedback you receive, work to improve in those areas, and keep auditioning. If you are offered an alternative role, it might be because the director, who usually knows the show inside and out, sees that your strengths in acting, singing, dancing and personality match the role you are being offered more than the role you may have wanted. In this case, you need to decide whether or not to take that role, but I encourage you to accept the role you are offered. This shows the director and producer that you are adaptable, that you are really committed to theater (and not just one certain role), and they will remember how you conducted yourself in that process. Your adaptability likely will come into play down the road when you audition for another show that they may be working on. 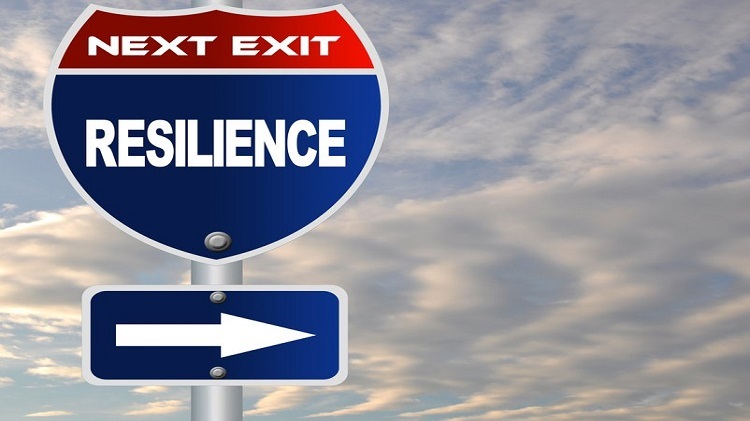 Regardless of your role in the theater, choices during the college process, position on an athletic team or status in the job market, it is very important that you show resilience, resourcefulness and adaptability. These characteristics are critical to every aspect in life, so learning about them now will pay great dividends in your future endeavors. When I was in seventh grade, my U.S. history teacher gave my class the following advice: Your teachers in high school won’t expect you to remember every little fact about U.S. history. They can fill in the details you’ve forgotten. What they will expect, though, is for you to be able to think; to know how to make connections between ideas and evaluate information critically. I didn’t realize it at the time, but my teacher was giving a concise summary of critical thinking. My high school teachers gave similar speeches when describing what would be expected of us in college: it’s not about the facts you know, but rather about your ability to evaluate them. And now as Director of College Counseling here at The Wardlaw+Hartridge School, I have frequent conversations with colleges and professors, and they often mention that the ability to think through, analyze and solve difficult problems matters more in the “real world” than specific content. What is meant by analytical thinking skills? Simply put, they are problem-solving skills, methods we can use to analyze, tackle, and sort new information, ideas, problems, and solutions. It is an ability to take big pieces of information, or the “big picture” of a situation, and deconstruct them to identify the details, as well as the systematic trends or links, which bring them together. It involves a methodical step-by-step approach to thinking that allows you to break down complex problems into single and manageable components. The best employees not only know how to solve existing problems, but they also know how to come up with solutions to problems no one ever imagined. To get a great job after graduating from college, you need to be one of those employees, and analytical thinking is the key ingredient to solving difficult and novel problems. It makes you more employable (and better paid). In Roger Lowenstein’s Warren Buffett: The Making of an American Capitalist, the successful businessman named analytical skills among the most important skills for young people to become successful. Analytical skills are one of the top five skills frequently sought by small companies, large corporations and organizations around the world. Therefore, the world’s top universities attempt to differentiate themselves by focusing on building and developing analytical skills. And yet, while many students are keen to develop their analytical skills, they often struggle to demonstrate and use these skills in workplace situations. If you worry that your analytical skills are not up to par, never fear. They can be developed with time and consistent practice. Like a muscle, the more you use it, the stronger it gets. One way to start is to read more books, and not just passively skimming though the pages, but to try to look at both sides of the story. For example, if you are reading a novel, try to see the plot from the perspective of the hero, the villain and other supporting characters. This causes your brain to think in new ways, and increases your stimulation. Thinking differently helps to expand your mind, which is critical. Another excellent way to gather more analytical skills is to work on group projects, discussing these projects within the group and presenting them to a larger audience. The feedback or what we call “bouncing ideas” between team members or just friends – both positive and critical – help form self-assessment of analytical skills to work on sharpening and improving them. Another way to practice analytical skills is by playing chess, Sudoku and other “brain” games that require consideration of strategies needed. My challenge to you is to become a student who can analyze information and reinvent how you look at the data and determine a solution. You will become highly sought after and one that a college or potential employer wants to have on their campus or team.